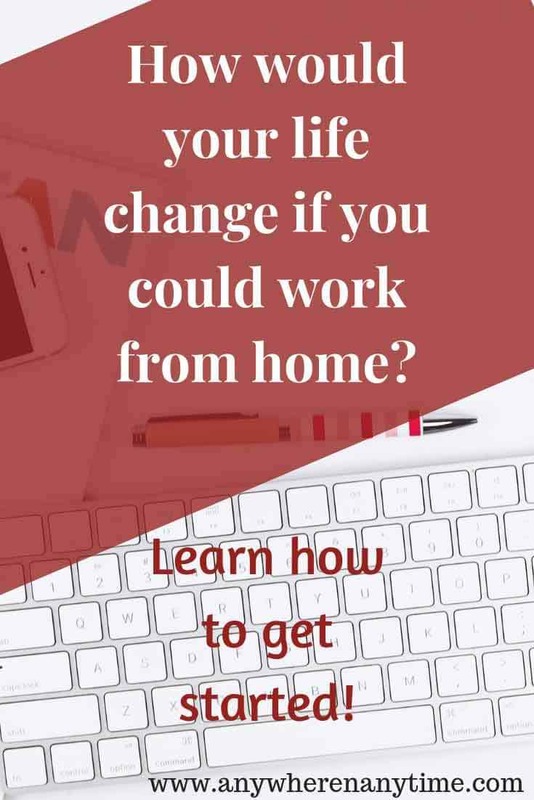 Are you considering the idea of working from home, but you’re not sure how to get started or what you could even do from home? Maybe you’re working from home already, but you’re not at the income level you hoped for, or it’s not working out quite like you’d planned. If that sounds like you, you’ll definitely want to learn more about the Work-at-Home Summit. When I first heard of it, I thought, “Hmm…that sounds cool.” And then I saw what was included and I was blown away. As a part-time work-from-home mom, I’m always on the lookout for ways to increase my knowledge and level-up my business. 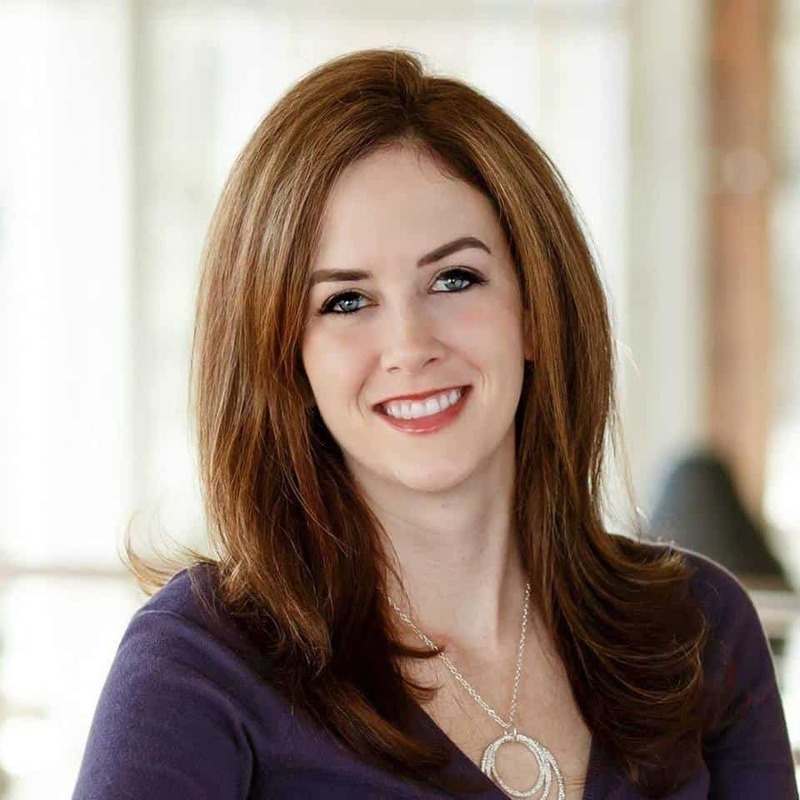 The first-ever Work-at-Home Summit was a FREE, 6-day, value-packed, online summit with 48+ speakers, organized by work-at-home expert, Caitlin Pyle. It ran from January 29 to February 3, 2018 and was part of the launch of Work-at-Home School, but it offered huge value all on its own. UPDATE: There was another epic Summit in 2019, but the Summits are not available for viewing right now. Click here to get an update when the Summit is available for viewing and enrollment for Work-at-Home School opens again. The first reason to sign up is to infuse yourself with the knowledge of successful work-from-home business owners. There is a quote attributed to Oprah Winfrey, “Surround yourself with only people that are going to lift you higher.” It’s good advice to surround yourself with people who are doing what you want to do and to take advice from those who are where you want to be. 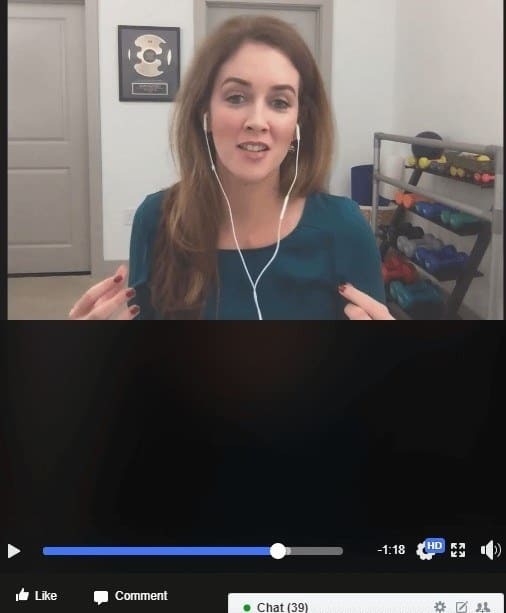 Personally, I’m listening to anyone who has found a way to make $200,000+/month while staying authentic and offering real value to other moms like you and me. Caitlin has done just that, and no, that number is not a typo. It all started with her working at home as a proofreader before she moved on to teaching others through her course, Proofread Anywhere. Caitlin is one of my work-from-home heroes for sure. If she has something to say, I’m listening. But that’s just the beginning, the summit included 48+ speakers. Watching the videos, or reading the transcripts, is highly motivating. These are real people who created huge work-from-home success, and hearing their stories and advice is powerful. The Work-at-Home Summit content includes planning and building your work-at-home business, and also thriving. There really is something for everyone, from information on buying and selling books on Amazon to LinkedIn and lead generation, from productivity tips to finding fulfillment and purpose. Several speakers stood out, including Ashley Gainer, a mom who makes her living from home as a writer for blogs and business owners. She also teaches other aspiring writers about how to start and build their businesses. 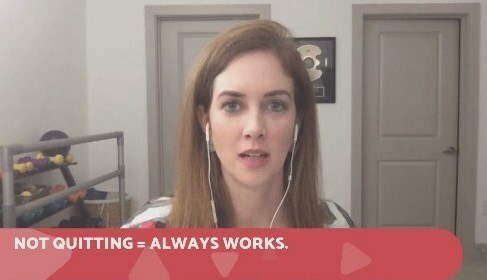 Her tips for starting a work-from-home career as a busy mom hit the nail right on the head. I’ve returned to the transcript of her talk several times for on-going inspiration. Then add 39 more high-quality speakers! Now you can see why I was blown away by the content. There is a private Facebook group that accompanies the summit, and throughout the summit, Caitlin jumped into the group for Q & A sessions. The videos are still up in the group and are a wonderful resource. The last day of the summit the Q & A session lasted over four hours! The group has remained very active since the summit. The Work-at-Home Summit was part of the launch of Work-from-Home School. At the time of the 2018 Summit, there were three levels of Work-at-Home School Curriculum to choose from: the Curious, the Confident, and the Committed, available at three different price points. One of the things I found to be spot-on is Caitlin’s emphasis on building skills. If you want to work from home, then taking an action towards building skills that others value and will pay you for is the next step! 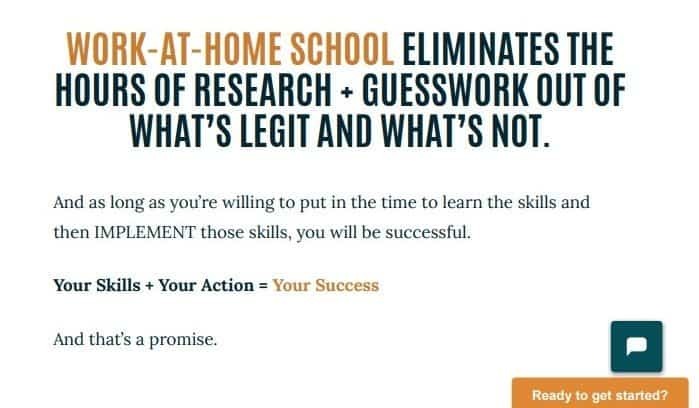 And that’s what Work-at-Home School is all about: Skills + Action= Success. This one is a no-brainer. The summit is FREE! You’ve got nothing to lose by signing up and checking it out. I truly believe if you wade through the videos or transcripts, and join the Facebook group, you will benefit in some way. Don’t overlook the importance of surrounding yourself with other like-minded people, and if you’re in a position where you’ve already built a business working from home, it’s so important to share your successes and give some encouragement to those who are just starting out and realizing that it really is possible. The private Facebook group that accompanies the summit is a great opportunity to do both. Work-at-Home School is currently closed. Click here to get an update when the Summit is available for viewing and enrollment for Work-at-Home School is open again. Thank you for this in-depth review of the Work-At-Home school summit, it is so good to learn of new programs that are worth our time. 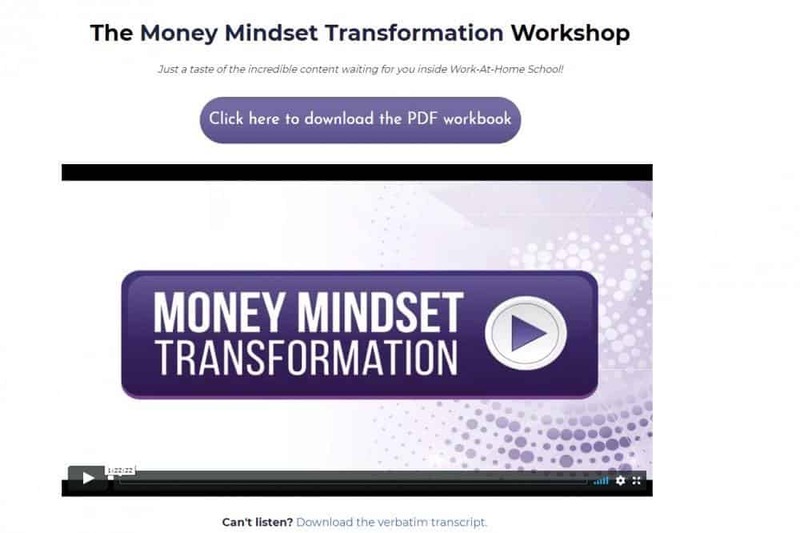 There are so many un-worthy programs out on the internet, finding one like this is like finding a needle in the haystack! It’s really refreshing to find a good one, isn’t it? It’s definitely worth sharing when you do.